iCET held a "2016 China CAFC and Urban Real-World Emission Evaluation Workshop" in Beijing on September 21st. The workshop was supported by the UK Strategic Prosperity Fund (UK-SPF) and the Energy Foundation (China). Low-Carbon lead of the UK-SPF, Mr. Jonathan Farr, Clean Transportation Project Manager of the Energy Foundation (China), Ms. Xin Yan, and iCET’s founder and president, Dr. Feng An, gave the opening remarks. New Energy Vehicle (NEVs) and clean technology vehicles are core strategies for reducing urban air pollution and emissions in China. The corporate average fuel consumption (CAFC) standards, proven to be instrumental in reducing tailpipe emissions globally, have been enacted in China since 2005 and entered their forth implementation stage in 2016 aimed at reaching 5L/100km by 2020. In 2020, NEV subsidies are projected to be phased out, consistent with the target of reaching a volume of 5 million electric vehicles industry. However, assuming the industry will not be self-sustaining by then, governing institutions are attempting to supplement financial support with financial markets: NEV credits are being designed to fit into the CAFC standard and a more independent NEV credits mechanism (similar to California’s ZEV credits mechanism) is being evaluated. On August 5th, the Innovation Center for Energy and Transportation (iCET), a China-based think tank, organized the 2016 Clean Mobility Salon and Sustainable Consumption Week - NEV Engagement jointly with the Beijing Auto Show and NEV Test-drive Center under the support of the United Nations Environment Programme (UNEP) as part of its annual sustainable consumption awareness-raising week. 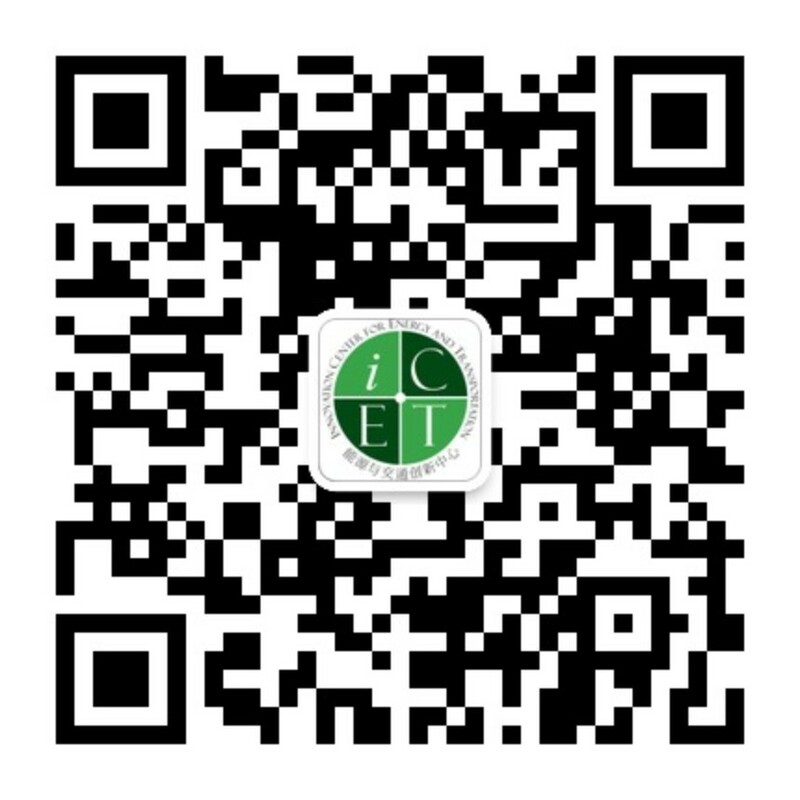 During the U.S.-China Climate Leaders' Summit, a consortium led by iCET (Innovation Center for Energy and Transportation) introduced an open initiative for developing a big-data based standard to make governments and companies accountable for their environmental impact. The initiative encourages public-private collaboration to develop and use MRV as a tool to tackle climate change challenges in the transportation sector. With an open consortium including NDRC-ERI, the research arm of China’s central policy planning ministry, and Uber China, a leading ride-hailing service provider, public and private stakeholders cooperated on initial MRV development. iCET was invited to hold its first China Urban Transportation Emissions Calculator (CUTEC PV v1.0) workshop as part of the UK-South China Low-Carbon Development Week. Speakers included UK Climate Change and Energy Consul, iCET's president, director and officer, E4Tech's consulting manager, Shenzhen Transportation design and Research Institute, and Sun Yet-Sen University Transportation Air Quality Center. On May 15, 2015, the Global Clean Vehicle Summit 2015 (GCVS2015) press conference was held at the Kempinski Hotel in Beijing. The Summit will be the first professional international conference in China, the world’s largest car market, dedicated to “clean” and “green” cars. GCVS2015 aims to promote international cooperation in clean vehicle technology, advance policy and marketing exchanges, and encourage clean vehicle development and manufacturing in China and around the world. The Summit will be co-hosted by the Innovation Center for Energy and Transportation (iCET), the U.S.-China Clean Technology Center, and Jiangsu Wujin Hi-tech Investment Holding Co., Ltd.
iCET co-organized the “Sino-US Clean Transportation Policy and Technology Summit” jointly with the Beijing Energy Conservation and Environmental Protection Center (BEEC) and Natural Resources Defense Council (NRDC), on December 10 in Beijing. The event was supported by the Beijing Municipal Commission of Transport, Beijing Municipal Commission of Development and Reform, Beijing Municipal Science and Technology Commission, Beijing Municipal Environmental Protection Bureau and the Embassy of the United States.